When a delivery man unexpectedly knocked on my door this morning I was trying to think of what I had recently ordered then I saw my Birchbox! The excitement of having no idea what products will be delivered each month is still one of the best feelings. The design of the June box is my favourite I have received so far, although I was still slightly disappointed as the other box had palm trees on which is a print I am obsessed with. I am going to start with my favourite product from this months box, the smell of this body cream is unreal. I tested this on my face... big mistake! 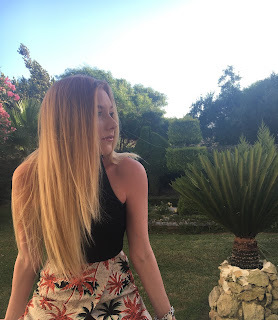 The body cream has a gold glitter running through it which is gorgeous but clearly not an everyday moisturiser but perfect for taking on holiday! This is a face scrub with rice powder particles so instantly I wanted to try it out. You only need a small amount as there are so many exfoliator particles which is great at making your skin feel clean. After washing off the scrub my skin felt slightly rubbery. I used this instantly after the face scrub and I have to admit I am not a fan of the smell but, my skin felt smooth and refreshed. This gel face cleanser is perfect for sensitive skin as it is gentle and made from natural ingredients. These are little products I love receiving from Birchbox because it is so handy having a mini hairspray! I love the packaging and this hairspray is not as sticky as they can be, probably better for holding a loose curl. My only issue is that it has a strong alcoholic scent. This months full size product was a lip and cheek tint retailing at £17.95. But I am so disappointed! I hated the the shade so much but I am not entirely sure I would of liked the other shade on offer 'Cake Pop' either. 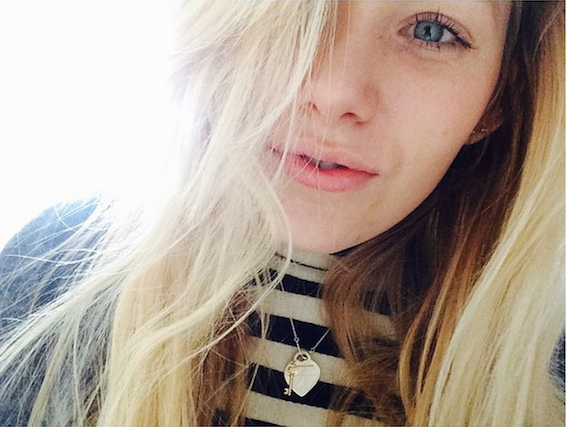 The tint was so patchy on my lips which were exfoliated before application! The only positive thing was the cute packaging and the smell of this product, but it is certainly not worth the money. 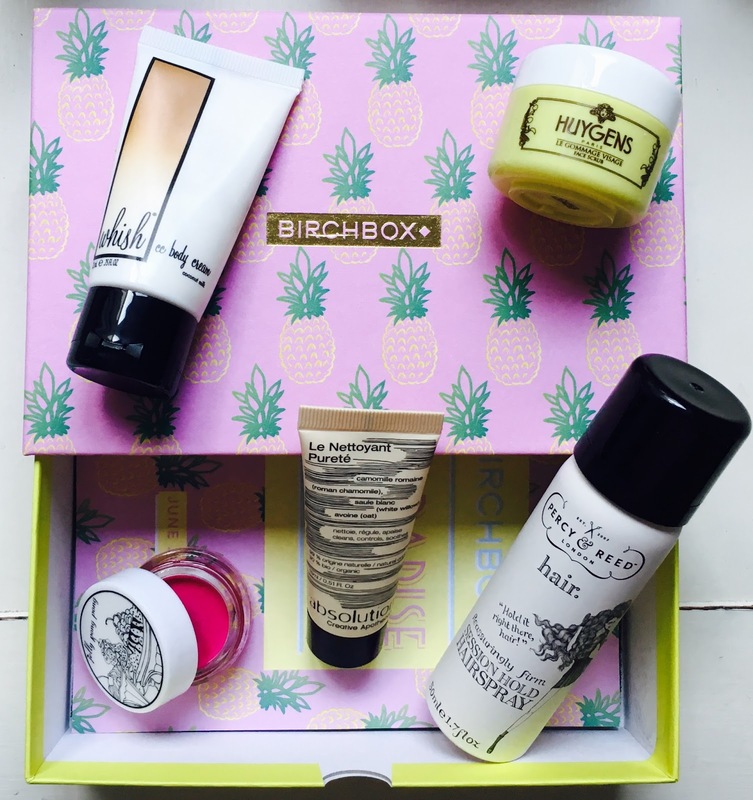 All products from this months Birchbox can be found here. 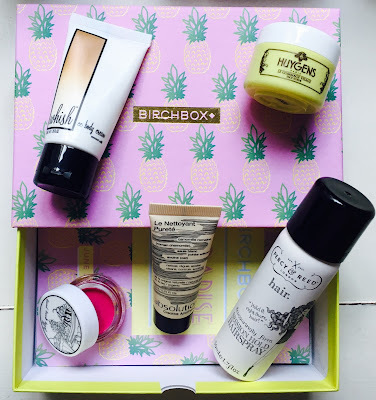 Let me know what you thought of your Birchbox or any of these products.